Thanks for inviting me to Just Romantic Suspense! 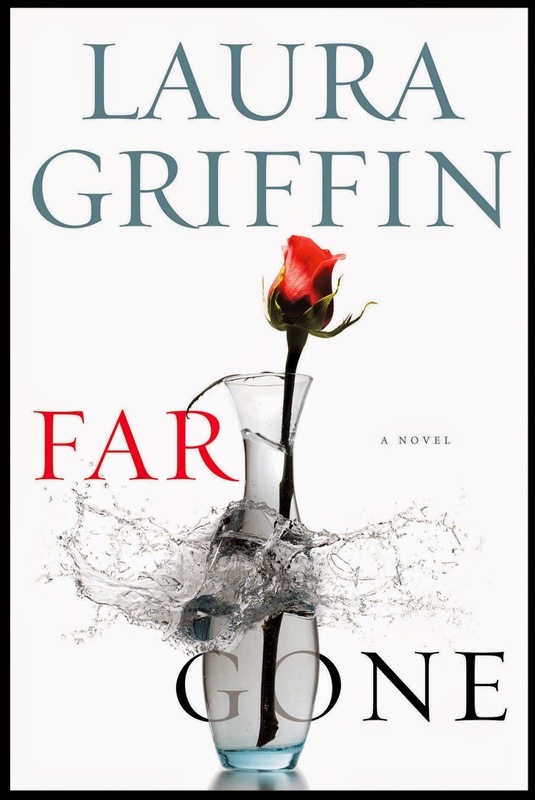 I’m thrilled to be here during release week for my very first hardcover book, FAR GONE. Seeing this book in print is a dream come true for me! FAR GONE is the story of Austin homicide detective Andrea Finch, who is on leave from her job following a shooting incident when she gets an urgent phone call from her brother in West Texas. Andrea is tempted to ignore his latest plea for money, but she thinks something is very wrong. She goes out to West Texas to investigate and soon meets FBI agent Jon North, who is working undercover to solve a murder that he believes may involve Andrea’s brother. As more and more evidence comes to light, Andrea begins to think he’s right. Throughout the story Andrea is torn between her loyalty to her family and her duty as a police officer. Her growing attraction to the FBI agent investigating her brother makes matters worse. FAR GONE is a stand-alone book, a bit of a departure from the Tracers series that I have been writing. The story features new characters... but I couldn’t resist including a few of my favorite Tracers characters to help with the forensic aspects of the investigation. I hope readers will enjoy the new book! I’m delighted to tell you it received a starred review from Publishers Weekly. A pair of shiny black wingtips stepped into her field of view. Andrea jerked upright. He wore a suit and tie. Jon something . . . who clearly wasn’t an ICE agent as he’d claimed. Her gaze dropped to the badge clipped to his belt. Water glistened on his dark hair. His broad shoulders were damp but not all of him, which meant he hadn’t been standing out here long. His eyes were shielded by silver aviators, so she couldn’t see his expression, just her own look of wariness reflected back at her. It was more of an order than a question. She glanced around the parking lot again but didn’t see any sign of the reporters who’d been hounding her for days. The side of his mouth curved slightly, but he didn’t smile. Andrea glanced at her apartment window. She didn’t like the idea of taking him up there—not because he was six-two and armed and a virtual stranger but because she assumed he was nosy. But if she took him to a coffee shop, they might get approached by a reporter. “Third floor, no elevator,” she said. New York Times and USA Today bestselling author LAURA GRIFFIN started her career in journalism before venturing into the world of romantic suspense. She is a two-time RITA Award winner (for the books Scorched and Whisper of Warning) as well as the recipient of the Daphne du Maurier Award (for Untraceable). Laura currently lives in Austin where she is working on her next book. Congrats on the new release of Far Gone! Can't wait to read it. :) Wish I had it now . . . we received 12"+ of snow in today's blizzard in northern Minnesota. Great weather to cuddle up with a good book! Congratulations on FAR GONE, Laura! Can't wait to read it - it's being delivered tomorrow. Thanks, Mary! I hope you like Andrea & Jon's story. Have a great weekend.